Launching a new website is now easier than ever. However, installing your chosen CMS (Content Management System is just the beginning; you need to make sure your website is as friendly as it can be for both your visitors and the search engines, too. When you first launch your website, you need to avoid problems that may scare away early visitors and impact badly on your search-engine rankings. 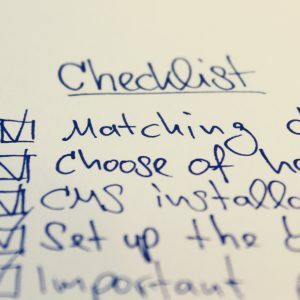 So here’s our checklist of 20 important tasks to complete when launching any new website that’s designed to be used with the Amazon Associates programme. Your aim is ultimately to make money, and this is all about picking a topic with enough search traction and earning potential. Is the topic still current, and will it remain so? Can you make money with this topic? Choosing the right domain is a critical first step for a new website. There are different approaches – you could put one or two matching terms in the domain, which will make it very clear what type of website it is. Alternatively, you can use a brandname for your blog/business and therefore choose a more abstract domain name. The benefit of using a branded domain is that it’s open-ended, and will allow room for development. The ideal domain name will cover both aspects. When building your first website, you should find a good balance between a good-quality hosting company and a reasonable price. Many professional hosting providers offer entry-level tariffs, so you can get started for a few pounds a month. 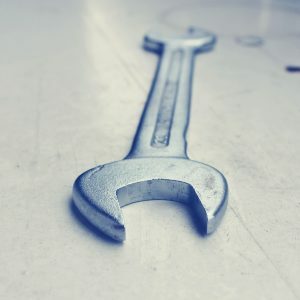 CMS-based sites don’t have exacting requirements: but you should still understand what the hosting company is providing in terms of SQL database and PHP access – these are the technologies underpinning your site. Also, check with your hosting provider about the ease of upgrading to a more fully featured service if the need arises. Whichever CMS you ultimately choose, take your time on the installation. There are detailed installation instructions and tips online and on YouTube which can help you with any problems. And although it may seem intimidating, remember that you can’t really do anything wrong during the installation. If it doesn’t work as it should, you can simply start again. Content Management Systems can be extended with plug-ins and new features. These can be very useful and with WordPress has plug-ins it specifically recommends for new blogs. However, don’t overdo it. Each plug-in makes the CMS a little slower, and if you install poorly maintained plug-ins, site security can also suffer. Install new plug-ins as and when the need arises. First impressions are important, so your website layout should suit your chosen topic and be pleasant and logical to use. Pay attention to using the right colours, matching fonts, designing a professional-looking logo and other graphical elements and your site will have a positive impact on new readers. Before you launch your new website, you should ensure there are no technical errors. You can perform technical checks on your site’s HTML and CSS to ensure its code is valid: see validator.w3.org for more info. Don’t forget to test the usability of it before launching: ensure there are no incorrect readings, missing images and font problems. Visitors to your site will use different devices and different browsers. It’s important to check your site works in all major browsers eg, Chrome, Firefox, Internet Explorer, Opera and Safari. As the ‘shop window’ of your site, your homepage is of particular importance. Many new readers will either come there directly or after reading one of your articles. Your reader should immediately recognise what your site is about – and it has to be easy for them to find other content. The contents of the homepage should be designed with new readers in mind. Include a brief introduction, explain what your blog is about and list the latest and most popular articles. Important sub-pages should all be internally linked. Always include any legal requirement pages on your site to ensure your site complies with the law on the use of data online. You can find some UK-centric examples of these documents at seqlegal.com/free-legal-documents/privacy-policy. Implementing the fundamentals of search-engine optimisation will make sure search engines can find and index your website. Beyond the basics, however, SEO is a complex and hotly contested topic. It pays to familiarise yourself with it, but don’t spend time on SEO at the expense of creating compelling content for your blog. Search engines have increasingly placed emphasis on short loading times. The average web user will leave if a website takes too long to load, which means less traffic and lower revenues. Use Google Page Speed Service Insights (developers.google.com/speed/pagespeed/insights) to analyse your own website and get optimisation tips. How easy your website is to navigate is difficult to measure, but the ‘user experience’ of your site is very important. The easier a website is to use, the better: if you have the chance, ask your friends or family to use your site and give you feedback about anything they found confusing. Use a web-analytics tool to find out how your website is performing, what content is particularly popular and where there are problems. Google Analytics (google.com/analytics) is widely used because it is free and very powerful. An alternative is the open-source platform Piwik (piwik.org). Take some time to ensure all tracking is installed correctly and that you act on your findings to improve your website. Few things are more annoying than losing content to technical problems or a hacker attack. A good hosting service will ensure a backup is made regularly, but there are also many useful CMS plug-ins which offer this service, too. The golden rule is: regularly backup your files, including your website’s database, so you can reinstall an up-to-date version in case of disaster. Many new website owners and bloggers start with a lot of dedication, but after the first few weeks, begin to struggle. A content plan for the first stage of your site’s lifespan can help avoid this. You don’t have to plan every single article, but important content or important actions can and should be planned in the longer term. When should you begin to put money-earning links and adverts on to your website? It doesn’t have to be from the outset, but you should still begin relatively early. You’’ll gather a lot of valuable experience and can try different types of monetised content to see which work the best. No matter when you choose to implement it, you should think about how to integrate content for monetisation from the outset.